I was trying to think up some amazing title for this post, but then I realized that it is one in the morning and I don't care. I set a goal to update my blog at least twice a week this year, so we will see how it goes. I hope to have new pictures each post, or at least old pictures that I have finally got around to.. For now, however, this will have to do. 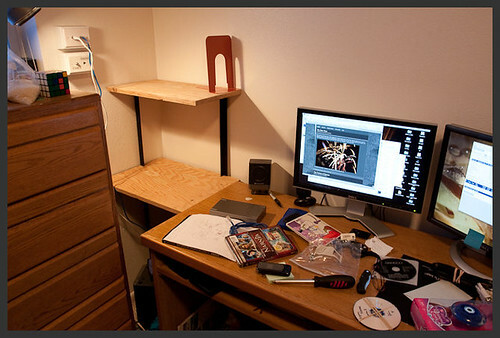 I was frustrated with the empty corner I had between my desk and dresser, so I build a desk extender and a shelf to to there. It was fun to be home for the Christmas break and have access to tools.